Catholics of the Philadelphia Archdiocese showed their support for retired religious sisters, brothers and priests by raising $645,385 last year, 80 percent of which, or $516,308, remained in the archdiocese for the care of religious here. The balance of $129,077 was sent to the national 2015 Retirement Fund for Religious, for which Archbishop Charles Chaput received a letter of thanks March 23 from Precious Blood Sister Janice Bader, executive director of the fund. Over the past 28 years of the collection, faithful of the archdiocese have donated more than $4 million to the national collection alone. More than 33,000 retired religious women and men in the United States benefit from the annual collection by Catholics across the country. The United States Conference of Catholic Bishops approves collections for the fund in 10-year cycles, and 2017 is the last of the current cycle. Sister Janice’s letter noted that the bishops’ Commission on Religious Life and Ministry “is studying both the progress made and the continued need” for the fund, she wrote. The commission is expected to present its findings at the November 2016 meeting of the USCCB in Baltimore. Data suggest the need for generous support of retired religious will be crucial for the foreseeable future. Of the 49,000 women religious in the U.S. in 2014, 69 percent are over age 70 and 91 percent are over age 60, according to CARA (Center for Applied Research in the Apostolate at Georgetown University). 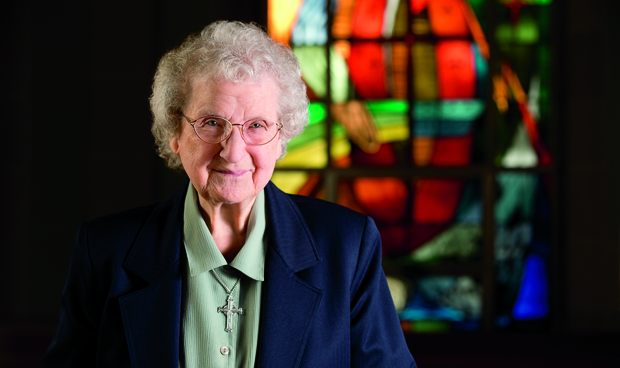 Sister Janice wrote that retired religious have pledged to remember the fund’s contributors in daily prayer.